Can’t stand delicate chess pieces? 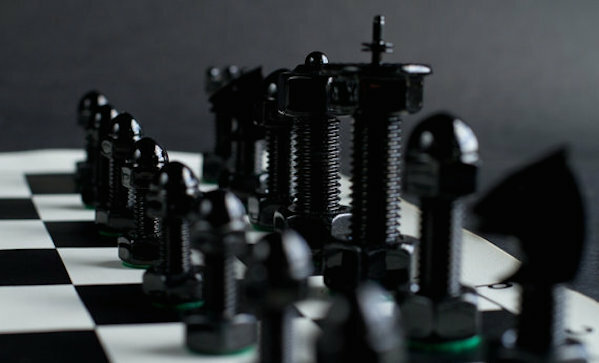 Go with something more substantial—like this chess set made from bolts ($270). The board is vinyl and rolls up, and the pieces are bolts that are powder-coated and stored in mini-toolboxes.